A butterfly flaps its wings with hardly a care in the world and innocently triggers a tornado, goes the theory. 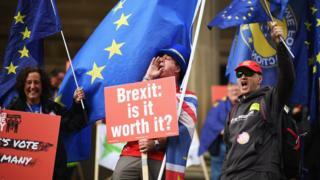 The diehard Remain supporters advocating a further EU referendum are hardly retiring butterflies and their campaign is no political tornado. But their call for voters to be given another say on the EU is now, at the very least, a gentle breeze whistling through British politics. It will be felt by all sides in the final phase of the Brexit negotiations. A compromise motion, thrashed out during late night negotiations at the Labour conference in Liverpool, now specifically ties a reluctant Labour leadership to another referendum. The party would back such a move if the leadership's preferred option of a general election failed. John McDonnell, the shadow chancellor, dashed the hopes of pro-Europeans in the party by suggesting on the Today programme that the option to Remain in the EU should not be on the ballot paper. The choice should instead be about the proposed Brexit deal. 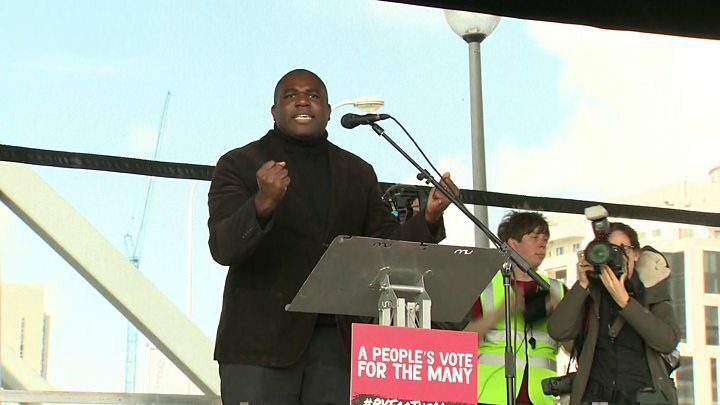 But the loose wording of the Labour party does not rule out a Remain option on the ballot paper and McDonnell conceded that it would be up to Parliament to decide the wording. And they believe that the motion leaves open the possibility of an option to Remain in the EU on the ballot paper. One source in the People's Vote campaign told me: "The door is now wide open." The numbers in parliament suggest that if Labour endorses a further referendum it would be difficult to pass the legislation without a sizeable contingent of Tory MPs defying Theresa May. But the events in Liverpool now set the stage for the issue of a further referendum to become everyone's favourite weapon in the final phase of the Brexit negotiations. To pro-Europeans it is an escape hatch if Theresa May fails to negotiate a deal with the EU or she negotiates a deal that is rejected by Parliament. To Brexiteers the People's Vote campaign does their work for them. Leavers have consistently said that the pro-European side represents an out of touch elite afraid to accept the judgment of the people. And along comes a well funded campaign seeking to overturn the results of a referendum they won by more than a million votes. Theresa May is using the threat of another referendum to warn Brexiteers opposed to her plan to be careful what they wish for. Brexiteers invited to dinner in Downing Street recently were reportedly told if the prime minister's plans collapse then the commons speaker John Bercow will help create the conditions to vote through a further referendum. The EU is, of course, watching events very closely. Some EU leaders said at last week's summit that they would be happy to extend the article 50 negotiations to allow a further referendum to take place. Innocently or not that sort of talks infuriates Theresa May who says the mere talk of a vote allows the EU to hold back in the hope the UK changes its mind. An innocent butterfly going about its business may never unleash a tornado over British politics. But it is certainly changing the weather.